Lone Cougar – coming April 24! My next Solo Shift book, Lone Cougar, is coming April 24! Watch for the cover reveal on April 14! Bloggers: interested in promoting or reviewing Lone Cougar? Please sign up with Give Me Books at http://bit.ly/LoneCougarEvents! I didn’t particularly care for Ryan when he showed up for his first massage. And I don’t particularly care for him now, even if he’s the hottest thing in Green Holler. Especially because he’s the hottest thing in Green Holler. He reminds me of every player I met in high school and college, he travels constantly because of his work, and I’m sure he’s got a girl in every airport. And his work? He’s the guy Dad hired for advice on expanding his art store, and I can just see him changing it into McArts or something cheesy. Not that I’m looking for a man anyway. I don’t ask for much. Just a man who’s not a complete jerk, doesn’t mind living out here in the middle of the Ozarks, and won’t freak out when he discovers that shifting’s real and his girlfriend’s an owl shifter. And Ryan’s not that man. Right? The woman at the B&B’s trying to get me to date Sam–short for Samantha, she’s careful to point out. Not going to happen, even if Sam’s the most beautiful woman I’ve seen. For one thing, there’s plenty of beautiful women out there, but not enough damn-good massage therapists like Sam. On top of that, her dad’s my client, and that mixture of business and pleasure is a bad idea. Why would anyone give up their big-city dreams, go back home to this Ozark tourist trap–sorry, I mean “this quaint Ozark town”–and hang up a shingle as a massage therapist, even a damn good one? I don’t get it, but I can’t afford to settle down like she did. With all the consulting gigs I do, I’ve got to stay on the road all the time. Besides, when I’m on the road, no one can get close enough to find out about my cougar, and I can have a good time any night I want, anywhere I want, with almost any woman I want, with no commitments. I’m not scared of commitment, but what woman’s going to commit to a guy who’s also occasionally a cougar? Certainly not Sam. 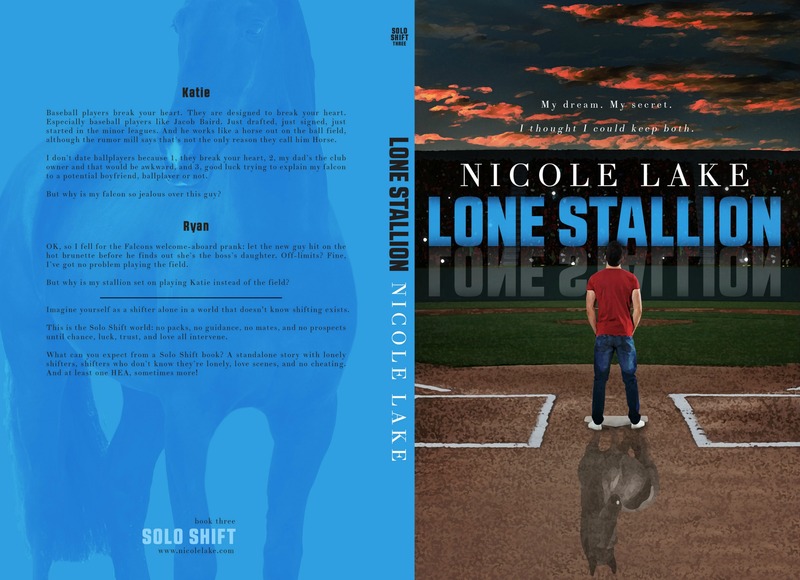 Lone Stallion is live – paperback, Kindle, and KU!